MarkMyWords has been specifically developed and designed for authors, who publish their articles on blogs and news-sites. MarkMyWords supports a selected set of Markup-Languages and offers a lot of features to support the writer to focus on what really matters: The content. MarkMyWords supports several different Markup-languages. 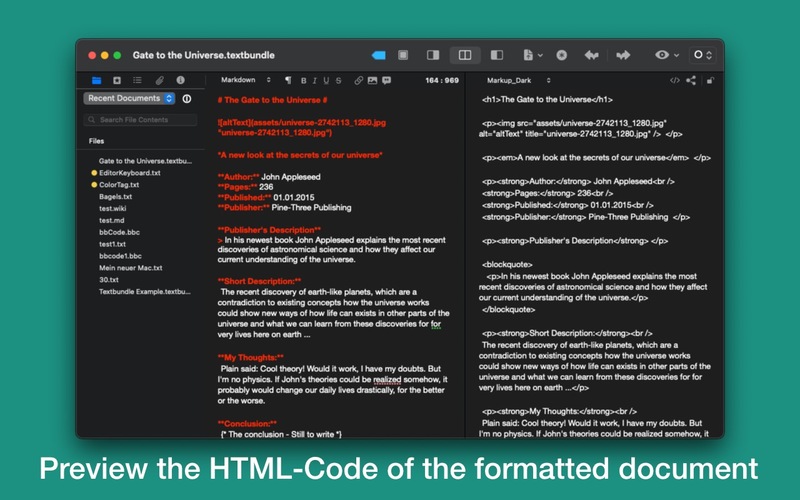 If you're Wiki-Writer choose Wikitext, BBCode if you're a forum-writer or Markdown, MultiMarkdown, Textile or Smark for dedicated writing of articles. For each Markup-language a predefined list of OneClick-styles is available, so the most common styles are just one click away if you don't want to type them. Of course all OneClick-Styles can be altered with the integrated OneClick-Style-Editor and also new styles or other little text-snippets can be created. MarkMyWords can highlight your markups for you. Also, you can alter the color of the highlighting and if you're really nerdy you can customize the highlighting scheme in many ways. Read the help-file of MarkMyWords for more infos. Indent selected text just with a tab-stroke, keeping indention on new line, automatically created list-items, auto-closing brackets and more. Additionally you can create tab-triggered actions with the One-Click-Style-Editor, to insert custom text on certain actions. The headline-navigation popup allows you to access different parts of your current document quickly by offering headlines as anchors. Different people, different needs, that's a fact. MarkMyWords let's you choose your favorite font, font-size and -color, background-color and even let's you choose the background-color for selected text. Also, there is an option to use a thick insertion-point cursor for better visibility. Set Markers to remind yourself of to be edited or missing parts of your article. 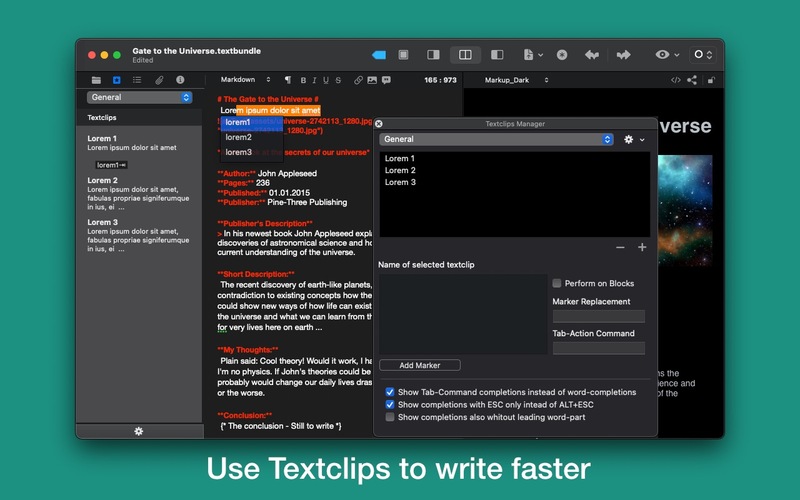 You can give Markers individual descriptions and by using shortcuts for fast access, Markers will become your daily companion for your writing tasks. Create Templates for articles with the same structure, so you don't have to write the matching parts over and over again or perform copy'n paste-actions. And yes, Markers can be used in Templates, too. A dedicated writing-application without char- and word-counting? Always in your sight and with additional options how and what should be counted MarkMyWords will keep you on track. One of the most popular features of MarkMyWords is the instant preview of your article in its formatted state as it would be displayed in an ordinary browser. No website looks the same, so MarkMyWords offers you the option to choose from a set of in-build CSS-Styles to alter the look of the instant preview or just set your very own CSS-Stylesheet for output. And if you want to see how your article looks in other browsers, just hit the "Preview In"-Button from the toolbar and select one of your installed browsers. Instead of previewing the look of your article in its formatted state, you can also choose to live-preview your article in raw HTML-source. Of course, this HTML-code can be copied for further using. 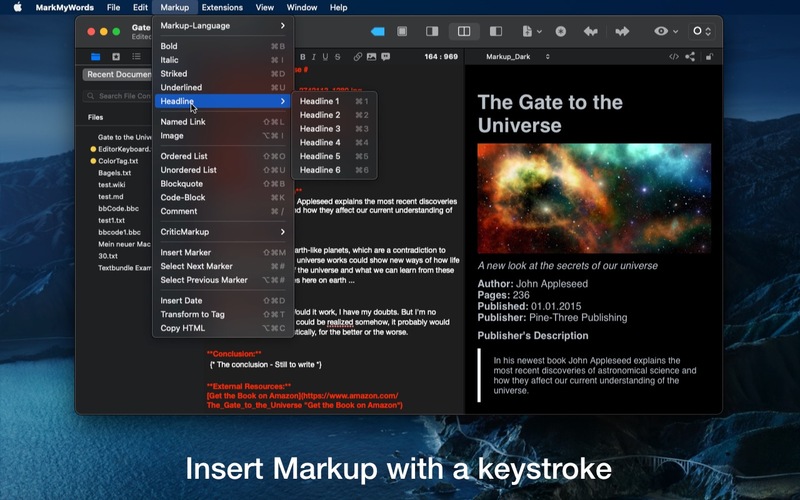 MarkMyWords offers a dedicated Distraction-Free-Mode for full concentration on your article. The Distraction-Free-Mode offers a vast amount of options to configure the Distraction-Free-Mode perfectly to your special needs and best thing is, you can alter most of these option while running the Distraction-Free-Mode by hitting CMD+;. So you instantly see how your workspace looks with the newly set options. Following options are available: Font-size and -color (that includes the I-Beam-cursor too), text-area-size and -color, text-alignment, main-background-color or -picture and main-background-opacity. Additionally option to display the menu-bar/dock while being in the Distraction-Free-Mode and an option to set the writing line always in the middle are available. Writing articles also often means a lot of copy/paste actions from various applications and sources. MarkMyWords offers lots of options to make this task as easy as possible. MarkMyWords offers an option to import files from other (common) writing-applications directly into your documents. 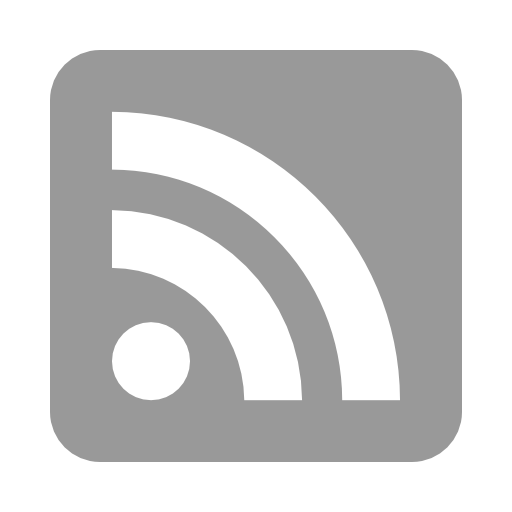 Get the Bookmarklet for your web-browser from the MarkMyWords-Downloads page. Using this Bookmarklet any selected text on a web-page can be imported to MarkMyWords with a single click. Enhance MarkMyWords' feature-set the easy way. By using one of the widely popular scripting-languages (Perl, PHP, Python, Ruby) you can easily create plugins with features for your special needs. 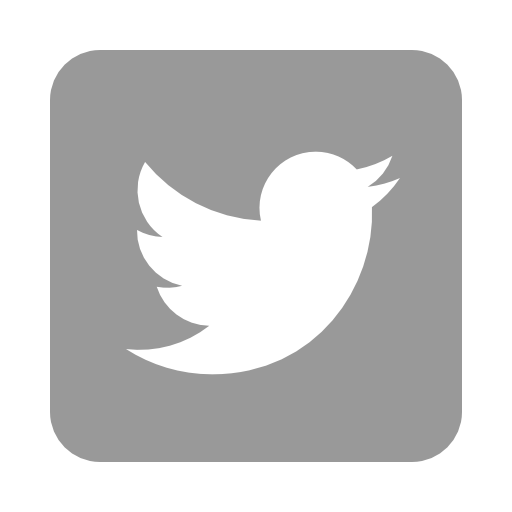 For more information about plugins and how to create them just visit the MarkMyWords-Plugins page. There are literally thousands of options to enhance MarkMyWords. MarkMyWords features an in-build file-browser, so all your articles are always at hand. The file-browser works also hand in hand with predefined save-folders. Next to being a mere file-launcher, you can also assign document-status, search for files in your save-folders, preview and quick-edit files, create new files on the fly, rename your files and display only files of a certain document-status. Once used to, you will never want to go without. Export your precious formatted articles with a simple click on the toolbar-item "Export" to RTF, Doc, ODT, HTML or PDF files. Great for sharing your articles with others who aren't used to markup-languages. 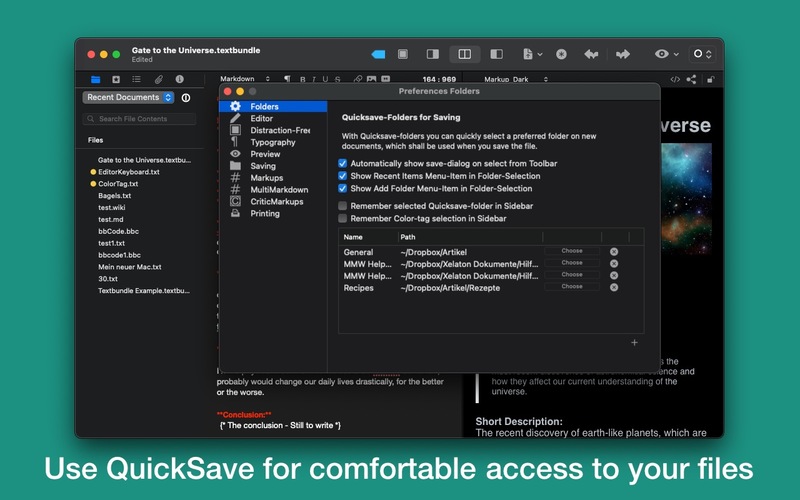 The QuickSave-Folder will fasten the way you save your documents. Define your favorite save-folders within the preferences and when saving just click the QuickSave-popup-button from the upper-right of your document-window. MarkMyWords will automatically select the appropriate folder for you, so you don't need to navigate through your file-system. MarkMyWords offers shortcuts to insert the critics-markups "Add", "Remove", "Highlight", "Comment" and "Replace". Additionally an batch-replacement-tool is on board to remove or integrate the CriticsMarkup easily. Articles saved in predefined save-folders you can add attachments to, which will be saved in a separate folder, which is named after the current file-name. 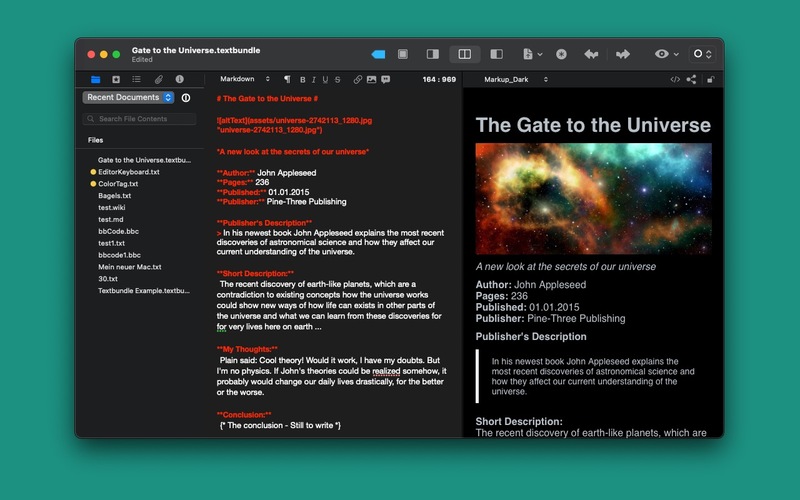 MarkMyWords offers a built-in eye-pleasing dark mode which can be activated via the Preferences. Using the CSV-import you can import tables with ease and they will be automatically formatted with the necessary markup. MMarkMyWords supports both the opening and saving Textbundle-files. In addition, existing documents can be exported as Textbundle- as well as Textpack-files. Over the Preferences it can be determined whether MarkMyWords should use the integrated MultiMarkdown-Parser or the Terminal-tool-version of MultiMarkdown.